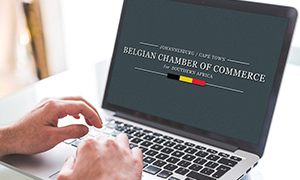 We are the Belgian Chamber of Commerce. Our purpuse? Supporting Belgian excellence in Southern Africa. Robert Fourny is an electronics engineer. He made his career essentially in Europe. He is specialized in the field of high definition digital Television broadcasting. He was involved in the field of research for the university of Louvain ( UCL) in Belgium. He designed audio-visual centres for the Institut des Arts de diffusion ( IAD ),and the European Parliament. After a successful career in Europe, he is now retired in Kwazulu Natal in South Africa. 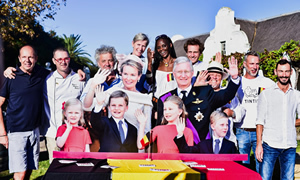 Robert's goal is to develop links between Belgium and South Africa, to promote investment, commercial, economic, cultural, educational, scientific relations, including sports and tourism. He enjoys public relations and is currently the president of the Belgian club for Kwazulu Natal. Karin Voigt is the assistant advisor for the Belgian Chamber. She is the Belgium consular personal assistant. She has worked for more than 15 years. At the Belgium consulate and is a French, Flemish, English translator as well. Founder of the Belgium Chamber of Commerce and Belgian Club in Durban. This wonderful new Durban chapter is to promote Belgian and South African business and education opportunities, to serve innovative Belgian and South African companies seeking to expand their bilateral business interests and to create a professional network in the KZN and Free State region. Marketing Director for Geolux Radars for Africa and the Middle East. Marketing Director for North Stars night vision equipment Globally. Marketing Director for Meiantech range of electronics for Africa. 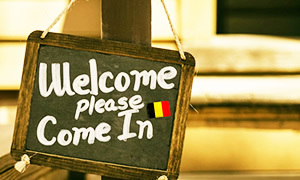 Marleen De Backer, affectionately known as “Teddi” is the newest member on the Belgian Chamber of Commerce Directorate, bringing a skill set specialising in Sport, Travel and Tourism. After more than 30 years active service at all levels of the sport spectrum and extensive international travel, Ms De Backer has combined her sport and tourism knowledge and passion for travel to create a unique, bespoke sport and/or travel product which will be offered to members of the Belgian Club. Ms De Backer was educated in Durban between 1970 and 1977, gained a Bachelor of Science Degree in Sport Science from Rhodes University in 1982 which was followed up with an international Diploma in Business Administration in 1999 and an MBA in business studies from Buckinghamshire University College in 2002. Managing Director and co-founder of Pegasus Wealth Management. Dion has 27 years experience in the financial services industry, of which 6 were based in London, United Kingdom and 11 for Nedbank. Dion has accumulated years of experience in the offshore arena and has developed strong relations with high net worth clients throughout South Africa, particularly in Durban. Dion is a family man and enjoys playing golf and baseball. Chairperson, South African Jewish Board of Deputies. Awarded the circle of excellence. Deputy head girl at Marais Stella high school. Founder and Director of the Durban holocaust centre. Mary's daily activities are focussed around building a more caring society. Born in Kortryk West Vlaanderen 8-2-1939. Attended Saint Amand’s Kollegia, Kortryk, entire family moved to Port Elizabeth, South Africa 1953. Attended Marist Brothers College Walmer, and later 1960 University of Cape Town (B’Arch.) and later University of Natal (MTRP). Willy Vandeverre is a registered Architect and Town Planner who has practiced in Kwa-Zulu Natal and The Transkei since 1972. He Has been involved in many various buildings and land developments. the Mount Edgecombe Golf Course Estates, the early Zimbali Developments, The Umtata Transkei University Planning and numerous commercial, industrial and residential developments, such as The Natal Newspaper House, the four Fundamentum Centenary Development structures in Umhlanga (+R.800m),The Mandela Residential Complex at University of Natal, various Hospitals etc. Willy is a committed Yachtsman, and Master Mariner, has been an ocean yacht owner of various designs since 1978.Willy has been awarded the position of life Honorary Commodore of the Royal Natal Yacht Club in Durban, an honorary position that has only been only awarded to three RNYC members over the past 160 year of the Club’s existence. A career spanning the Durban Chamber of Commerce and Industry, the City of Durban’s Investment Promotion Agency as well as Tradepoint South Africa Durban has meant extensive international and local travel promoting Durban as an investment location and presenting at Durban’s Sister Cities abroad and at the global World Trade Point Federation conferences. Monique was born in Mauritius and has dual citizenship, as a resident of both Mauritius and South Africa. In August 2011, Monique established her consulting business, Monique Labat Consulting (Pty) Ltd.
Fluent in French and English, she consults to South African and International clients on Market Linkages and Business 2 Business, co-ordinates detailed programmes and itineraries for international trade delegations, and manages and undertakes detailed surveys for Business Retention & Expansion programmes. Clients include private and public sector and are based in Mauritius, Reunion Island and throughout South Africa. Monique Labat Consulting (Pty) Ltd is a member of both the Durban Chamber of Commerce and Industry and the Johannesburg Chamber of Commerce and Industry. Volunteer work for Environmental NGOs and NPOs. He is the General Manager of the Belgian company AF Compressors subsidiary in Johannesburg.Corentin arrived in South Africa in September 2015, on his first expatriation experience. AF Compressors is a world renown PET service provider; They have more than 150+ skilled service engineers in the world, 15 subsidiaries with full spares inventories, servicing more than 5600 units in more than 175+ countries. Corentin is enjoying life in South Africa by travelling with his family whenever time allows it. Claudine Vandenabeele has been living in South Africa for 9 years. Since 2013, she is the Trade and Investment Advisor for AWEX (Wallonia Brussels trade Commission). They provide market intelligence and advice on doing business in South Africa for companies out of Wallonia and Brussels. Before she arrived in South Africa in 2008, Claudine was active as a senior consultant in Belgium for Food from Britain between 1996 and 2007. Claudine holds a General Business Administration and Management master from VLEKHO and a Master Degree in Commercial Engineer (ICHEC). Walter Van Mol is an industrial engineer in electro-mechanics, South African resident since July 1982 and is owner of Van Mol Entreprises, Metalworks and Electric Fence CC. He was RT87 Chairman and has been part of the BCCSA committee since 2012. Besides this, Walter is also committed to several other organisations: member of the Midrand CPF sector, an active BW participant, vice chair of the PPRA and member of SAHGCA. Shaun is partner at the audit firm MAZARS. He has been responsible for driving business development initiatives for the Johannesburg office and on a national basis. He was appointed to lead the business development team in May 2012. Shaun is a JSE accredited audit partner and his portfolio of clients includes Public Interest Entities and Owner Managed Businesses. These have given him expertise in the medical devices, pharmaceutical and biotech industry, commercial building and construction, mining, property developers, transport and logistics. He has successfully advised clients on complex technical IFRS interpretations and implementations relating to local and international transactions. Koen is the Managing Director of Bolloré Logistics South Africa. After spending 10 years in Uganda and 3 years in Djibouti, Koen arrived in South Africa in September 2016 to take the head of the French logistics company Bolloré in Johannesburg, previously known as SDV. The company offers 5 types of services, including multimodal transport, customs and regulatory compliance, logistics, global supply chain and industrial projects. Koen is an avid cyclist and runner, who spends his weekends discovering the trails of Gauteng! Shirley Chauke is Chief Executive Officer and Partner at Hamon SA Pty Ltd. Hamon specializes in Air Quality systems (ESP's and Bag Filters) and Cooling Systems (Natural draft and Air Cooled Condensers) of Belgian origin established in South Africa in 1974. She is an entrepreneur participating in other businesses and partnerships. Her working history in different capacities includes, Eskom as Customer Executive, City Power: Key Customer Executive, Technip-Coflexip: Head of Procurement and KOG Piping systems: Managing Director. Shirley is also actively serving on the boards of NIASA (Nuclear Industry Association South Africa), PowerGen Africa, Kurvers Sourcing SA and Elukani Engineering projects. She holds an Advance Dipl Business Management SAIM (South African Institute of Management), Project Management University of Johannesburg and an MBA from Business school Nederlands. Axel is the co-founder and director of Ilaanga Energy. It started of as a PV installation company, one could call it a small EPC. Through the years Ilaanga Energy realised the need for local manufactured PV mounting structures. At present, Ilaanga Energy's core business is manufacturing of mounting structures for PV systems. Before Ilaanga, Axel worked for the national electricity provider in Belgium for 16 years. Michel de Wouters is a Belgian film producer and director. He founded MDW Productions in Belgium in 1992, producing more than 600 commercials and about 70 documentaries, music videos and movies. The company won dozens of awards around the world. Michel moved to Cape Town with his family in 2006 to find new challenges in films, performing arts and life. He is the director of the International Polar Foundation in South Africa and also coordinator for missions to Antarctica. He is one of the pioneers of the Belgian Business Network team in Cape Town. Alexandre Tilmans is one of those serial entrepreneur. After ten years of managing medium to large companies in Africa ranging from IT, to Construction and Tourism, he started his own ventures. Alexandre launched in South Africa L7 Craft Beer, a finance consulting business dedicated to advise small and medium companies and ngo called Baz'Art specialised in urban art. When he is not out networking or at events, Alexandre travels, windsurfs or plays badminton. Gino Adriaensen is the founder of "the Wicked Waffle" South Africa. Gino grew up in a bakery in Belgium and was a professional snowboarder in winter and worked in restaurants in summer. In 2004, he settled in Knysna, South Africa, where he started "the wicked waffle" company in 2010. From going to local markets and delivering local restaurants he now runs "The Wicked Waffle" carbon footprint franchise, making traditional Belgian waffle machines on gas in South Africa. And having his franchisees making 100% traditional Brussels waffles. His goal is to spread his wonderful waffles market all over Southern Africa. If you don't see Gino making or selling waffles at festivals or market, you will find him relaxing on the golf course! Sylvie Delnatte has been traveling around the globe with husband and three children for 28 years and has maybe settled now in Cape Town. All these years she has been, and still is, volunteering in the community and schools as assistant teacher, social worker, Student Support Worker and English literacy assistant. For over ten years she has been running a sole trade business as free-lance photographer in Perth, Australia. She loves nature and the outdoors in CT and makes the most of it. Born and bred in Belgium from an Italian mother, I finished my studies in Information Technologies and Computer Science in 2007. Curiosity pushed me to travel, work taught me to design and opportunities drove me to Cape Town that same year. Today, I’m a web designer able to develop complex functionalities; I’m a web developer able to design tailor-made user interfaces; and I’m a project manager able to engage with and to report to the different project stakeholders of all management levels. Passionate about traveling, nature and new opportunities, he decided to move to South Africa seven years ago for joining a start-up in the tourism industry. Trained as agronomist, he is always looking to be out of his confort zone and loves undertaking new challenges. Adventurer and trail runner, he loves windsurfing and spending time with his friends. His aim is to combine his passions in his daily work & life by striving to reach his maximum potential and by being involved in different kind of projects. Dimitri's quote can be summarized as "Getting along with others is the essence of getting ahead, success being linked with cooperation". I arrived in Belgium in 1991, I raised my children until they were adolescent then I started working as sales manager in a whole sale company in gourmet food. I'm in Cape Town since February 2016 with my husband and I started a company specialized in promotional textile and corporate business gifts. My passion is traveling and sport. I like meeting new people and get involved in different community projects.